1. Get your child's attention with photographs of masjids. Display and show your child the photos of masjids. Have a discussion by asking if she knows what it is, who goes there, what they do there, has she ever been to one, what it's like and so on. 2. Explain or summarise that the photos are of masjids and that Muslims go there to pray together to Allah. 3. Sing Muslims Went Into the Masjid (To the tune of The Bear Went Over the Mountain). Muslims went into the masjid. Together they pray to Allah. And all that they could do. Was...pray to Allah in the masjid! 4. Read a book about the masjid. 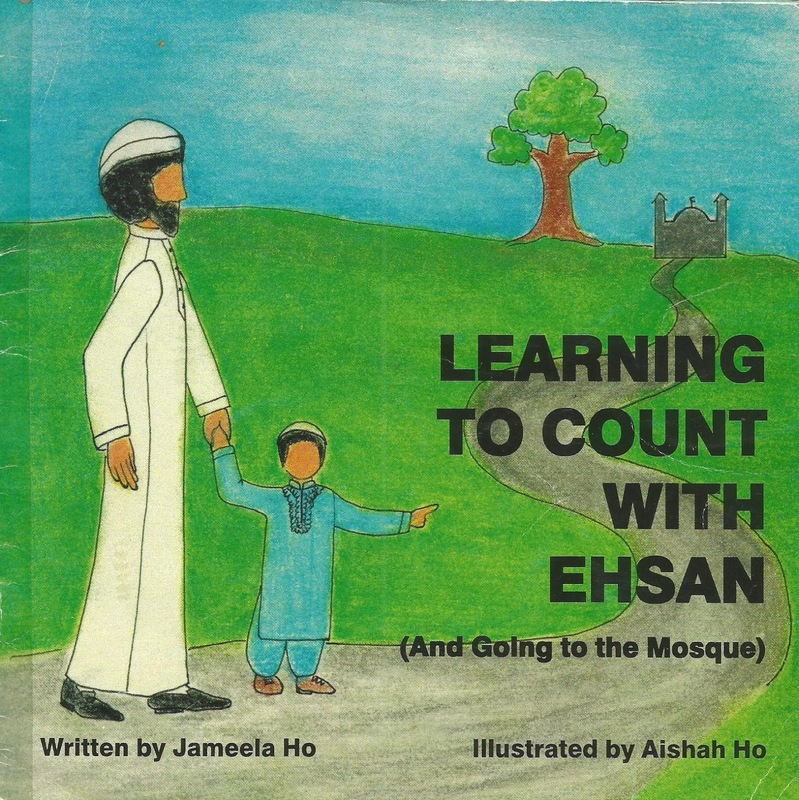 There are many books for preschoolers about the masjid. Chhose one and read it to your child. I've done a review of one here called Hassan and Aneesa Goes to the Masjid. 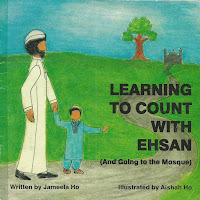 I've also wrote this book a while ago called Learning to Count with Ehsan and Going to the Mosque. (Yes it's a rather long title but like I said, it was a long while ago when I was younger and didn't know any better :D). 5. 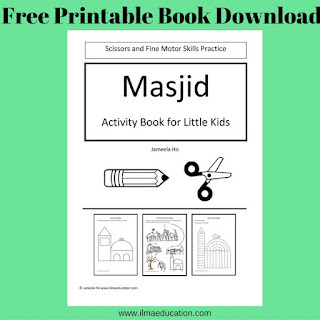 Practice fine motor control with the Masjid Activity Book. 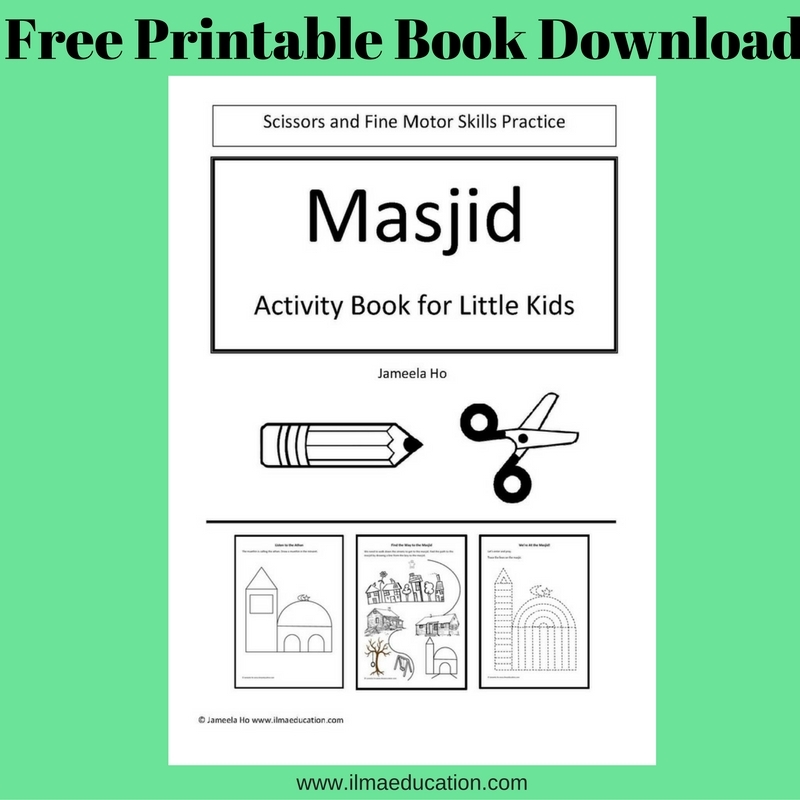 Have your child do some drawing, cutting and pasting from the printable masjid activity book. 6. More masjid activities from my older posts. You may like your child to do these as well. You can do them over a period of days. Masjid Pull Tab Craft A craft that pulls the boy into the masjid. Mosaic Masjid Craft activity using foam squares. 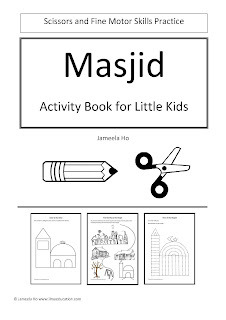 Islamic Activities for Preschoolers There's a whole section on praying and going to the masjid. 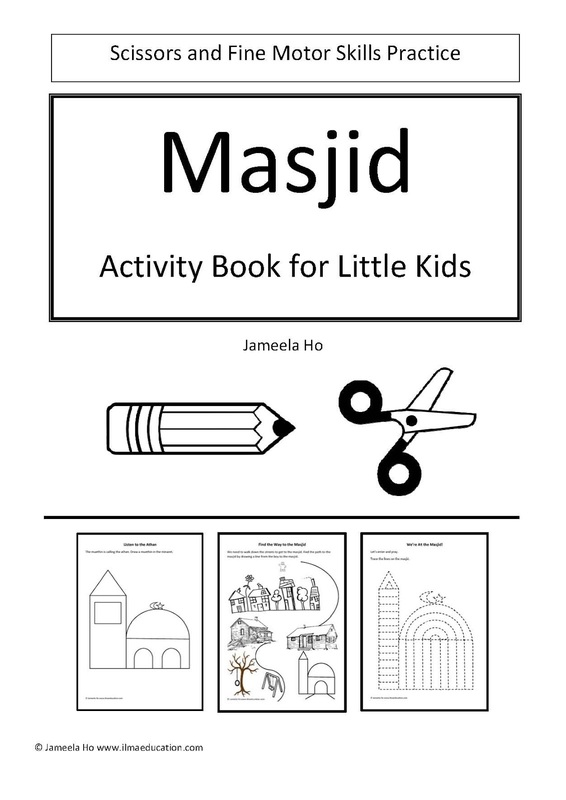 Masjid Colouring Sheet Free colouring sheet that's aimed at older childre with it's intricate design but young children will still enjoy making marks on the lovely design.